Both Believer In God, And Agnostic! I cannot explain nor justify this. It is just a feeling. I believe that ‘God’ exists. I recognise that I could be wrong and that God does not exist. I am insignificant and incapable of understanding or knowing ‘God’. The human consciousness and intelligence are so limited, that we cannot even conceive, understand or know what such a forceful being is; so it is unknowable, therefore; I must be agnostic. I cannot ‘know’ something that is beyond human comprehension and the observation of material phenomena. Christians will say that we ‘know’ God as manifested by the Holy Spirit and revealed to us by Jesus Christ. Maybe. What do we mean by ‘God’? It is probably a word which means many different things to many different people. I take it to be some form of Supreme Organising Force. It is in everything and is everything. It never began and will never end, so it is infinite in time. It goes on forever from any point to everywhere in the Universe, so it is infinite in space, but is space-time as humans understand it, merely a human construct? Cosmologists today talk not about one universe, but multiverses, and not three dimensions or four, if you include time, but eleven dimensions. Maybe there are an infinite number of universes. There are worm holes and non-locality in quantum mechanics, where an object can be in one place and in another place billions of miles away at the same time. So if God exists, then he exists in all these spaces and dimensions, and more beyonds that we can even conceive of. Christians, Muslims, Jews and others assert that they do “know”. They refer to their “scriptures” as their authority for what they claim and as the gold standard revelation of God and his teachings. The scriptures are given respect and reverence, but mainly, it would seem, because they are ancient and in some way almost mystical. However why, just because they are old compared to ‘now’, should they hold more authority than the sayings and teachings uttered by human beings today rather than 2,000 years ago? What additional authority do 2 or 3 or even 4,000 years give to a person? Scriptures are words written by human beings. Whose authority do we take that asserts that such utterances are, in fact, the words of God as opposed to those of the men who utter them. As humans searching and thirsting for truth and meaning, we are not only constrained by the limits of our consciousness, intellect, understanding and knowledge, but also by our humanly constructed language – our words. Why, for instance, is God a ‘he’? Why not a ‘she’ as in some of the early Mediterranean civilisations? Or a gender neutral ‘it’ or ‘they’? The very word suggests an anthropomorphic male figure. If God exists, then it is an eternal force that permeates, and indeed is, the entire infinite universe and multiverses, and not some anthropomorphic extension or visualisation of a male hominid from planet Earth, who imagines that his is the only world in the quadrillions of potential solar systems in the multidimensional universes. On the one hand religious fundamentalists of various kinds assert vigorously, or even aggressively, that they ‘know’ that their various beliefs are right, whilst on the other hand, Dawkins, Hawking et al profess that scientists almost know everything now, and ‘know’ that God cannot exist. Not much humility there. The scientist Rupert Sheldrake in ‘The Science Delusion’ would beg to disagree. Christopher Foyle. 10th August 2016. Christopher Foyle is a businessman, philanthropist and writer. 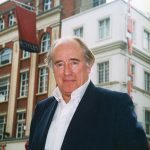 He took over Foyles, his eponymous family bookshop in 1999 when it was on its last legs, and turned it around and greatly expanded it with the management he put in place. In 1977 he founded and grew, for 30 years, the Air Foyle Group of specialist passenger and cargo airlines. He has chaired a number of national and international aviation trade organisations and charities. He has written four books and contributed to two others. He is financing two fauna and flora research projects in the rainforests of Indonesia, and is founding the Foyle Research Institute to examine and investigate scientifically anomalous phenomena. I agree with a lot of what you say – just one thought, if God is in everything, then he or she is in you and every other human being. Gnostics called this the divine spark. Maybe people who claim to know God have in some way communicated with that spark within.